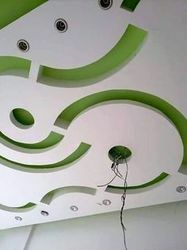 POP Ceiling Work, POP Art Design Service Providers, Contractors, Professionals, Decorators in India. We specialize in POP design for false ceiling designs for hall and living rooms as well as commercial space. We are a one-stop solution for Bedroom Ceiling Design , Simple Ceiling Design, POP False Ceiling Design , Wood Ceiling and other associated services. We have a delighted customer base for Plaster Ceiling Design domain, we are engaged in providing the services by skilled and experienced team of professionals with utmost perfection. Our most demanded services are POP Wall Design, POP Simple Design, Plaster of Paris Ceiling Designs and other allied services. We have a delighted customer base for POP Simple Design domain, we are engaged in providing the services by skilled and experienced team of professionals with utmost perfection. Keeping in view the varying and rising desires of our honored patrons, we are readily engrossed in presenting POP Works. Provided services are rendered by team of adroit & assiduous personnel as per pre-set industrial guidelines and norms. In addition to this, we offer these services at most inexpensive costs to our clienteles. 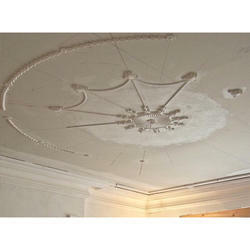 Customers trust our services like Wall Ceiling POP Designs, Plaster Of Paris Design and other similar services. We are a well known service provider in the field of POP art design company and have a huge base of satisfied customers who we have built over a period of time by our industry leading quality and unmatched turn around times. One benefit over traditional fabric wall panels is that the fabric can be replaced. Material: Special grade of gypsum (whiteness: >90 degree, breaking strength: 2.7MPa/2 hours, no impurity), fiberglass, hollow fiber.